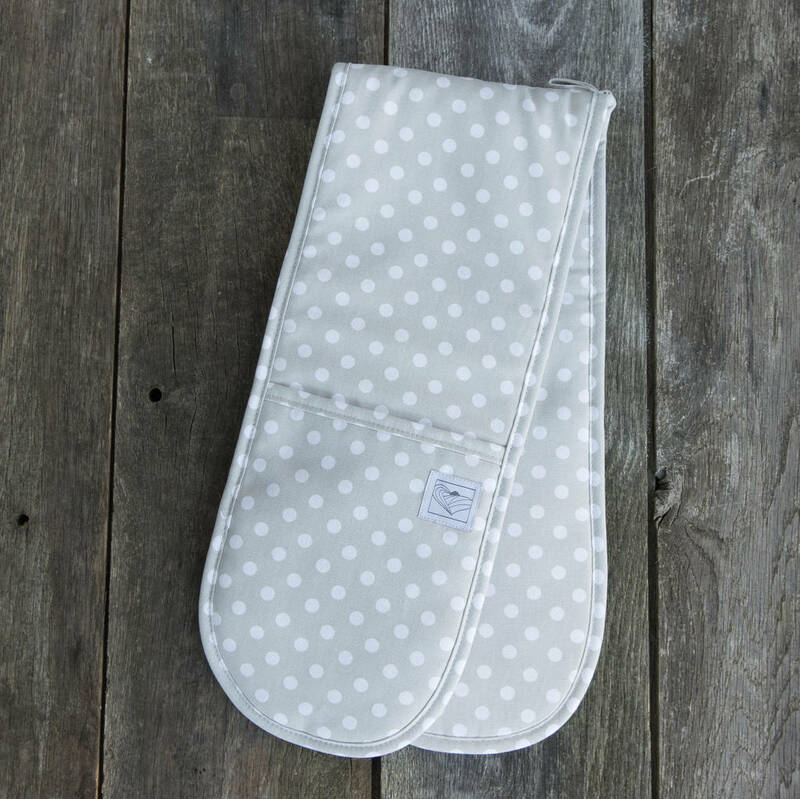 A stylish and practical pair of organic double oven gloves in a pretty grey and white polka dot. 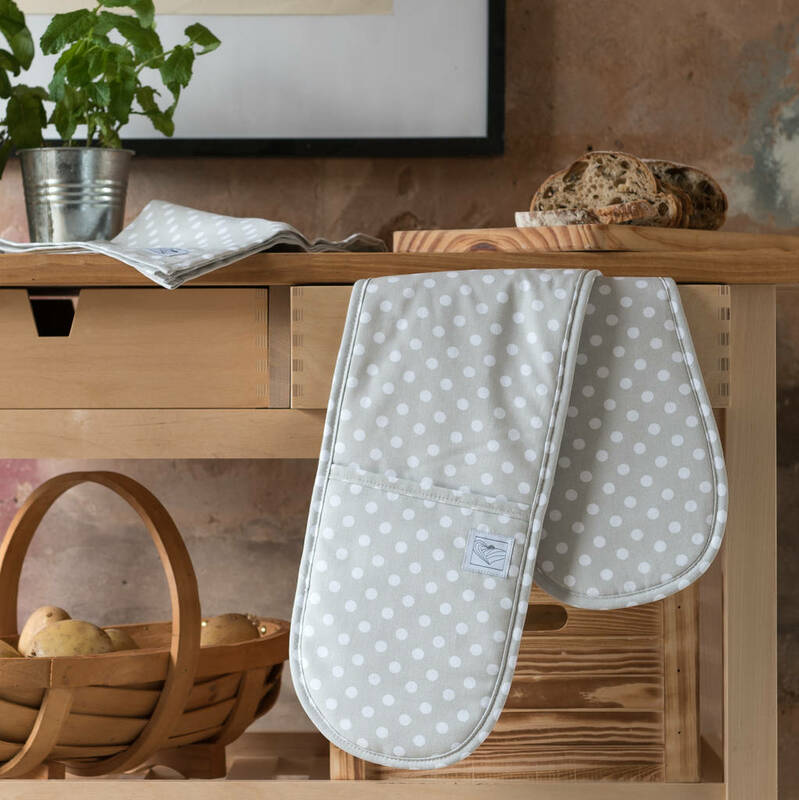 Our Grey spot double ovengloves will add a touch of Country style to your kitchen. These organic ovengloves would make a fab and practical housewarming gift. They come with a handy loop to hang them up. Generously sized to make it easier to wrap around large dishes. Gifts are wrapped in grey tissue and popped into a smart reusuable gift box, then tied with a wide gold ribbon, and finished with a fabric covered handmade gift tag. The box is strong card and made from 100% recycled materials and is perfect for storing special things afterwards. 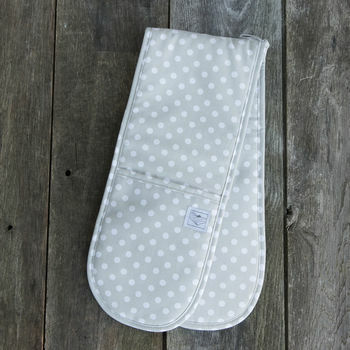 Matching organic tea towels and aprons are also available in this pretty grey and white polka dot.